Our thought and prayers go to our Brothers’ families and friends who are going through the most difficult of times. 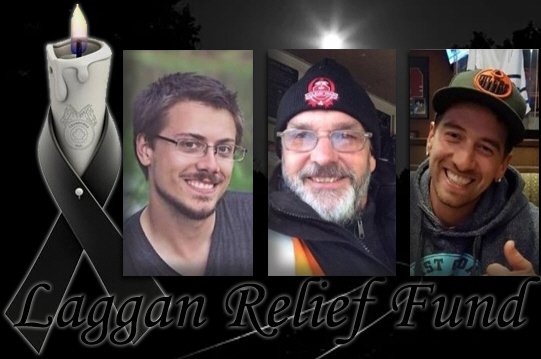 Below is a go fund me link to support our Brothers’ families. Please join me, as many of you already have, in donating what you can. We are railway employees out of Calgary and we all worked with Daniel Waldenberger-Bulmer, Andy Dockrell (Doc), and Dylan Paradis, on a daily basis. We need to do all we can to take care of these men's families. The funds raised are 100% going to go to their families to help them with whatever they need. The funds will be distributed with the Unions involvement to ensure that this is done fairly. Please donate to help the families of the employees that have passed away on the Field hill. Anything that will help them through this difficult time, and afterwards, will be greatly appreciated.